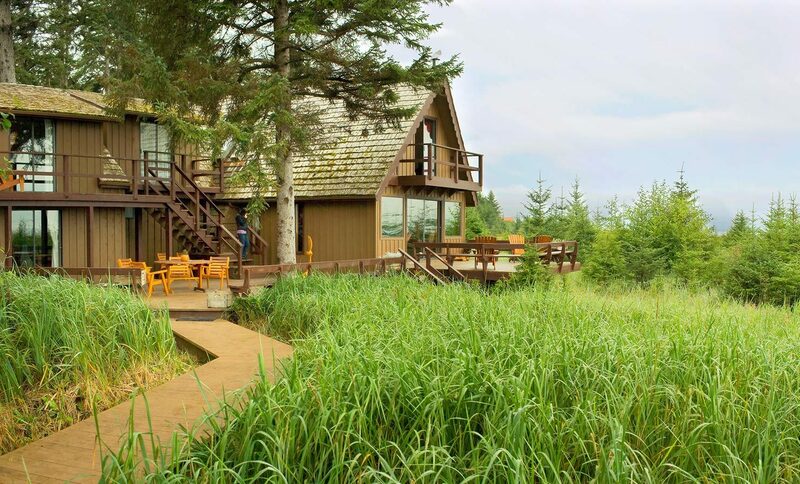 Alaska View Lodge - Haida Gwaii beachfront Accommodations, Masset. Haida Gwaii accommodations overlooking Graham Island's scenic north shore. Curl up in the cozy living room of the main house. Haida Gwaii beachfront accommodations along one of the most scenic stretches of Graham Island’s north shore, between Masset and Tow Hill. and a native culture rich in history and tradition. 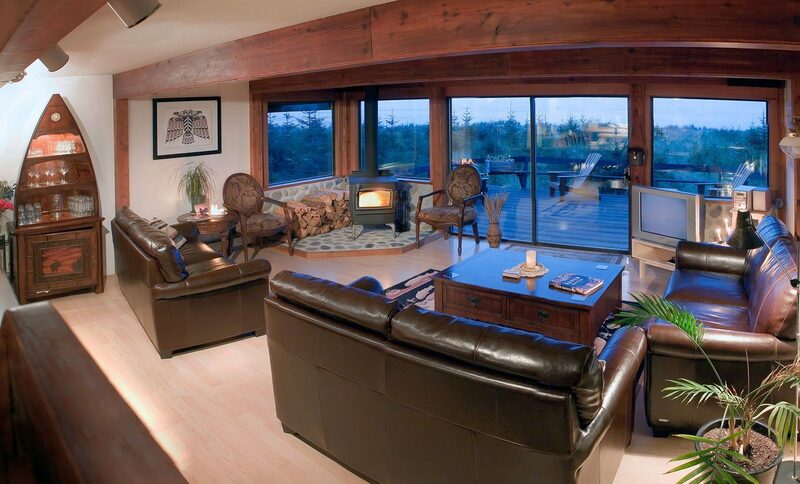 Make Alaska View Lodge your home while experiencing all that our incredible islands have to offer. 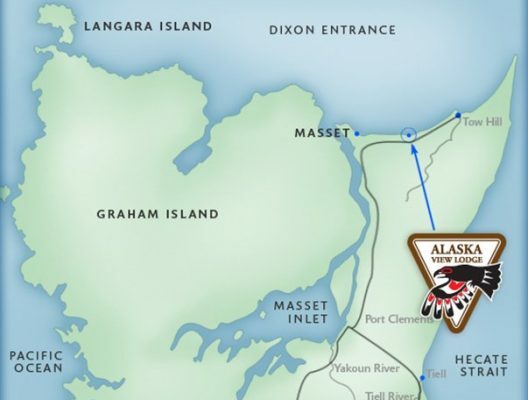 We are located along the north coast of Graham Island, surrounded by the ancient rainforest of Naikoon Park, and right on the beach overlooking Dixon Entrance and the distant Alaskan Islands. What an incredible place! I fell asleep to the waves crashing on the beach and in the morning there was fresh coffee waiting for me before my departure. And really, who doesn’t want a hot tub overlooking the ocean?! We were very happy to find that Alaska View Lodge welcomed us and our 2 dogs. The hostess was very gracious, the beds comfortable, great water pressure in the shower, and excellent breakfasts. The hiking, cycling, views, etc. in the area are all just fabulous. There was a storm that many would have paid big bucks to see and hear but lots of sunshine too. 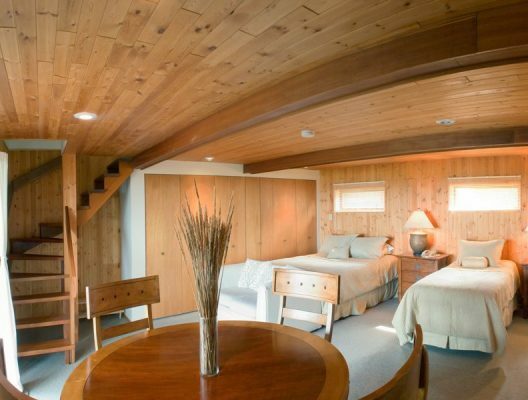 Alaska View Lodge provides well-appointed accommodations for up to 12 guests in 6 double-occupancy rooms. Breakfast service is included with all B&B reservations. Lunch and dinner service can also be arranged with advance notice. Beach House Rentals Two beach houses adjacent to the lodge are also available for rental, featuring 2-3 bedrooms and full kitchen facilities. Single night, weekly and monthly rentals can be arranged. Driving BC Ferries provides routes to Haida Gwaii for drivers travelling through Vancouver, Vancouver Island and northern BC (Prince Rupert). Flying Pacific Coastal Airlines provides daily flights from Vancouver to Masset Airport. We can provide transportation to/from the airport on most days, or click here for info on vehicle rentals. 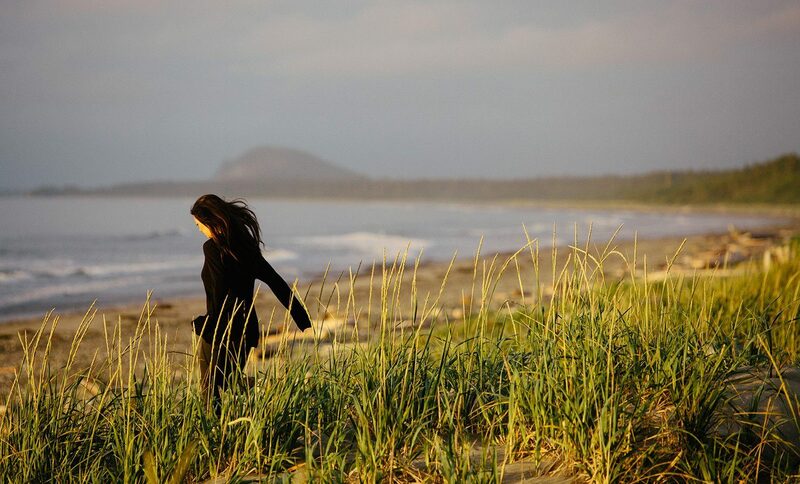 Naikoon Provincial Park, which encompasses most of the northeast corner of Graham Island, is home to some of the best hiking and beachcombing on Haida Gwaii. Numerous trails, with hikes ranging from a few hours to a few days, offer access to the park’s dense forests, scenic hills and hidden lakes. Rose Spit, a long finger of tidal sand on the northeast tip of Graham Island, is an ecological reserve and habitat for many local and migratory bird species. North Beach is the place to go on the Islands for crabbing and clam digging. 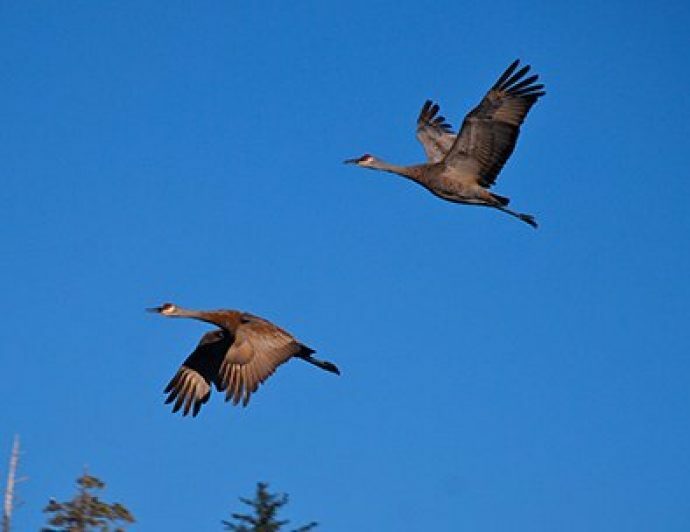 The Delkatla Wildlife Sanctuary, located near Masset, offers incredible bird-watching, particularly in the spring and fall when this area plays host to millions of migratory birds. Marine life, such as whales and dolphins, can often be seen when fishing or sea-kayaking — and occasionally within sight of the lodge. 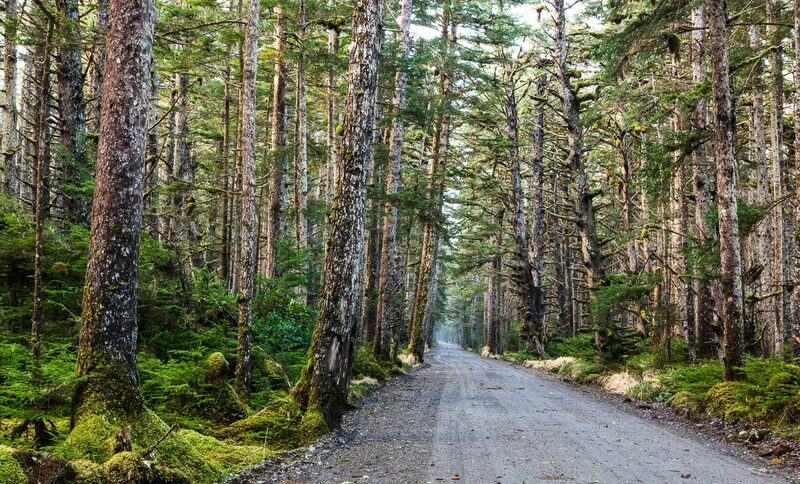 Haida Gwaii is home to one of the world’s oldest and richest native cultures. 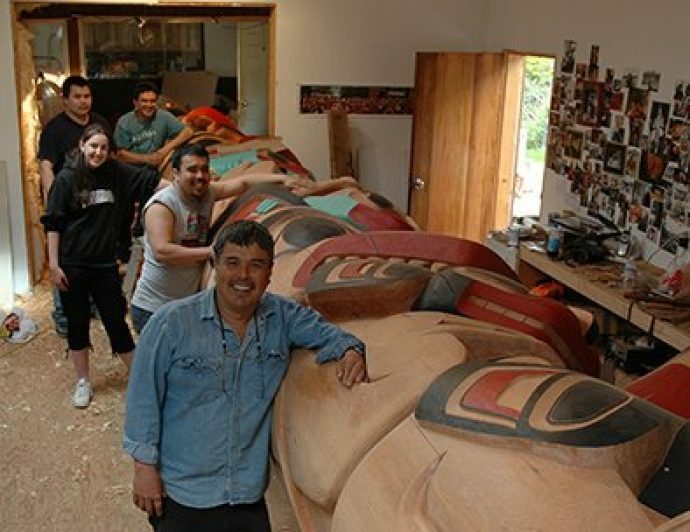 This culture is showcased in numerous museums, galleries, and carving studios around the Islands. The Haida Heritage Centre in Skidegate is not to be missed. 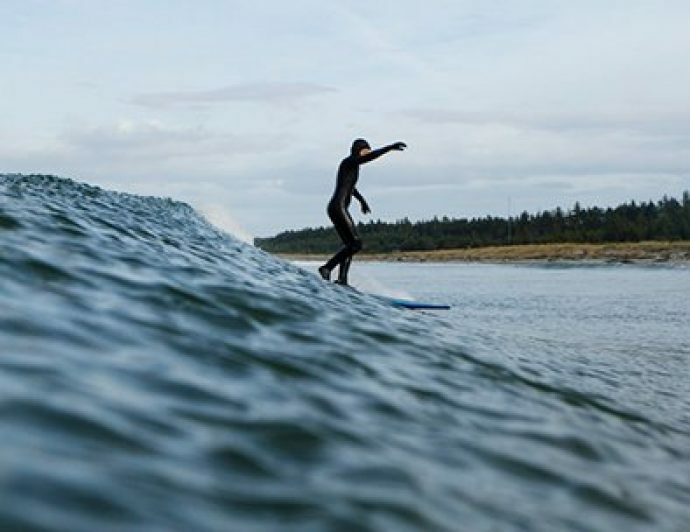 Surfers have been coming to Haida Gwaii looking for ‘empty waves’ since the 1960s. Nearby North Beach offers world-class waves and unparalleled beauty when conditions are on. Peak surf season is October to May, but we do see swells roll in virtually every month of the year. Surf lessons, surfboard and paddleboard rentals are available through North Beach Surf Shop. 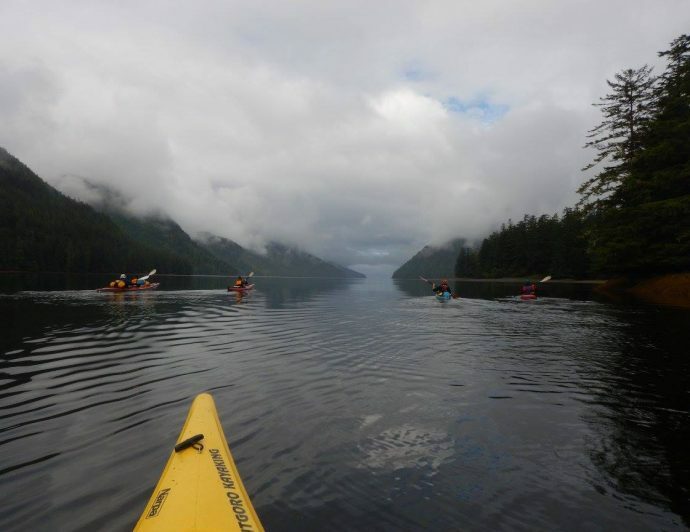 Kayaking is a great way to intimately explore the scenic coastlines and isolated islands of Haida Gwaii. Several outfitters offer multi-day sea-kayak tours to the islands of Gwaii Haanas National Park. 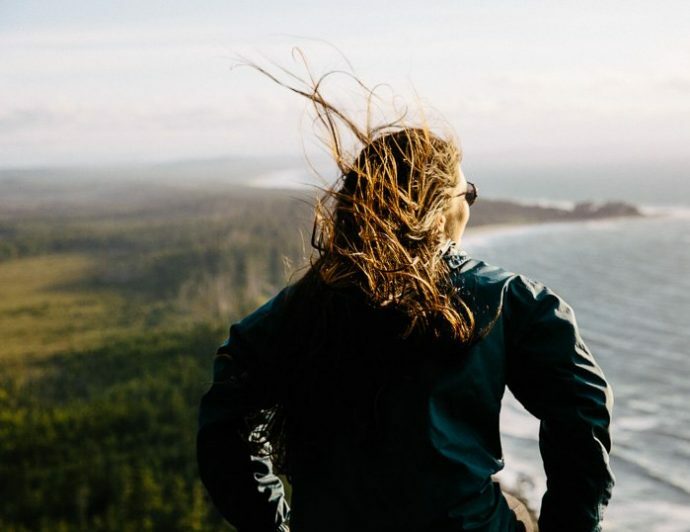 Day-long excursions in scenic protected waters, such as Masset Inlet and Rennel Sound, can be enjoyed by novice kayakers. Kayaks and equipment can be rented on the islands, usually for under $50 per day. For those who have only dreamt of fishing the ocean waters of Haida Gwaii, salmon fishing from the Masset Harbour offer a great introduction to this truly world class fishery. 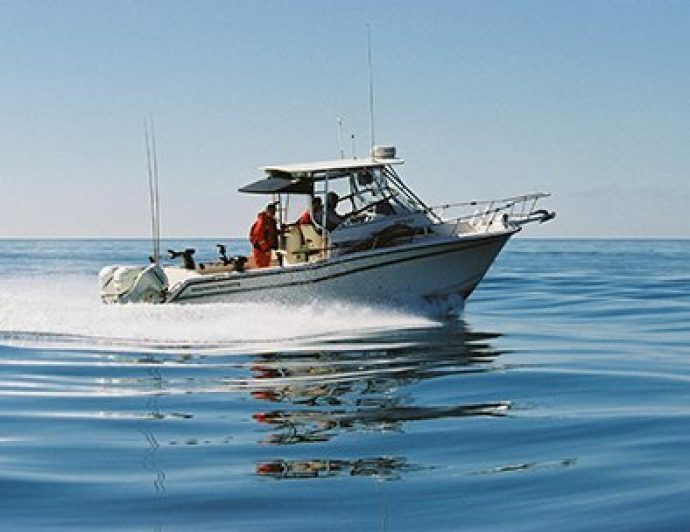 We can assist in arrange single or multi-day charters, included all-inclusive fishing packages with air travel from Vancouver.